I will be returning to Dumont in on May 3, for another fundraiser for Relay for Life. Because the last event sold out so quickly, we have moved this event to the Dumont High School Auditorium. I will be channeling for the group for about two hours, letting you know where I feel the spirit or spirits of family members or friends trying to communicate. Gather up your friends and family and join me for a great cause! Relay For Life is a community-based fundraising event for the American Cancer Society. Each year, more than 5,000 Relay For Life events take place in over twenty countries. Events are volunteer-driven and held in local communities, campus universities and in virtual worlds. As the American Cancer Society’s most successful fundraiser and the organization’s signature event, the mission of Relay For Life is to raise funds to improve cancer survival, decrease the incidence of cancer, and improve the quality of life for cancer patients and their caretakers. You will receive confirmation of seats upon receipt of payment. This event has limited seating of about 125 people. Tickets will be sold on a first come – first served basis. Tickets are non-refundable. 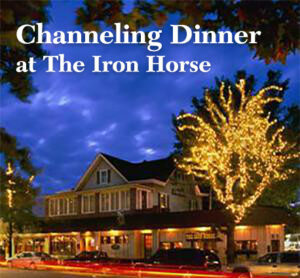 I will be back at the Iron Horse Restaurant in Westwood, NJ, on Thursday night June 27, from 6-10 pm. 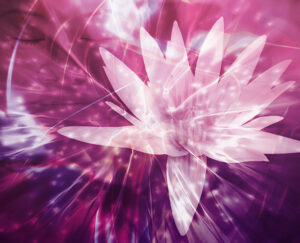 A delicious buffet dinner will be followed by a two-hour channeling session for the group. These tickets go FAST, so please don’t wait to purchase them! My “Exploring Psychic Awareness” class is scheduled for Saturday afternoon, June 15th 1-4 PM at the Hermitage in Jacqua Hall. Tickets will be on sale soon. Many of you with intuitive/psychic ability have been asking for this class. In this 2 1/2-hour introduction to psychic awareness, I will talk about natural intuitive vs psychic abilities, explaining various kinds of ability, the experiences some of you may be having, and how to incorporate this gift into everyday living to enrich your life experiences. There will be a few group exercises on meditation, grounding, energy work and connecting to your higher energies. The class will be limited to 50 people. Stay tuned for more details and tickets. These events have limited availability and may sell out without notice. Please purchase tickets in advance. This is a larger group (70+) people and not everyone attending will be read. Craig tries to get to as many people as possible in the two hour channeling period, but he does not read everyone. Not responsible for typographical errors.